In the aftermath of a serious accident in Camden, New Jersey, you may find that money is extremely tight, bills are going unpaid, and you and your family are suffering greatly. Unfortunately, the truth is that getting the insurance company to treat you fairly isn’t going to be easy. If your case goes to trial, winning a judgment will be even tougher. That’s why you need an aggressive personal injury lawyer who will fight to protect your rights and secure you the compensation you need, want, and deserve. The experienced Camden NJ legal team at Andres & Berger will carefully prepare your personal injury lawsuit by interviewing witnesses, examining the evidence, and taking a hard look at all medical reports and accident reports in your case. If you or a loved one suffered an injury in a car accident, slip and fall accident, or any other type of accident in Camden, NJ, The Law Offices of Andres & Berger, P.C. can help you. The personal injury attorneys at Andres & Berger have decades of combined experience representing victims of negligence in Camden, NJ. Call us now to discuss your potential legal claims. The skilled members of the Andres & Berger legal team are highly respected among their peers. 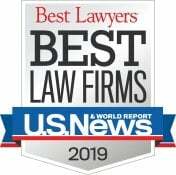 That’s because Kenneth G. Andres, Michael S. Berger, and Tommie Ann Gibney have a hard-earned reputation for fighting on behalf of personal injury victims in South Jersey and winning millions of dollars in pre-trial settlements and trial verdicts for clients. Our success at the negotiating table and in court is a direct result of hard work and dedication to legal service. 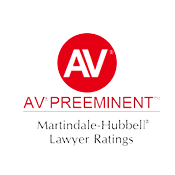 As soon as you contact The Law Offices of Andres & Berger, P.C., we will immediately begin investigating your case and speak with all relevant law enforcement officers, healthcare professionals, and insurance adjusters. 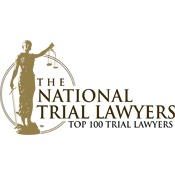 Our attorneys are admitted to practice law in the State and Federal Courts of New Jersey and the United States Supreme Court, so we can represent you in a variety of contexts and circumstances. 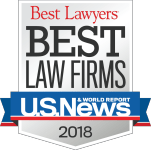 Other NJ personal injury lawyers commonly refer their major cases to Andres & Berger because they understand that we are best-equipped to handle difficult personal injury claims. 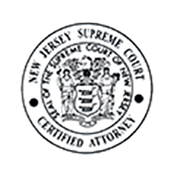 Mr. Andres, Mr. Berger, and Ms. Gibney have been certified by the Supreme Court of New Jersey as Civil Trial Attorneys, which is a certification achieved by just two percent of all attorneys in the state. 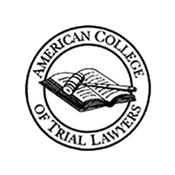 The members of our legal team also frequently lecture on personal injury topics and trial practice strategies at New Jersey universities and at events held by national legal organizations. Winning a personal injury claim in Camden, NJ is not easy because these types of cases often involve complicated legal arguments and procedures. That’s why you should call the experienced personal injury attorneys at Andres & Berger today to discuss your case and explore your best options for getting financial compensation. Our aggressive legal team will not back down from a fight in a personal injury case. 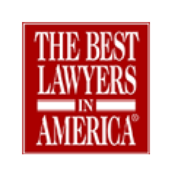 If you or a loved one was injured due to the negligence of someone else, your first call should be to The Law Offices of Andres & Berger, P.C. We work on a contingency basis, so we only get paid once you receive compensation for your injuries. Contact us anytime. Camden is the county seat of Camden County, New Jersey. The city has a total residential population of more than 77,300 people who live on a geographic area of roughly 10.3 square miles. Camden is situated in close proximity to Philadelphia, which is visible during the day by Camden residents who look across the Delaware River. The Delaware River is the site of the Port of Camden, a major port that handles cargo from international ships transporting goods into the region. One of the most popular spots in Camden for both visitors and local residents is the Camden Waterfront (also known as the Central Waterfront), which includes the Adventure Aquarium, the USS New Jersey, the BB&T Pavilion, and Campbell’s Field. Visitors to the Adventure Aquarium, which opened in 1992 and was later renovated in 2005, can see more than 8,000 animals, fish, and other wildlife attractions. Meanwhile, anyone interested in attending a baseball game in Camden in the spring can go to Campbell’s Field to watch the Rutgers-Camden college baseball team. The Camden Waterfront also provides a breathtaking view of the Delaware River and the high-rises that make up the Philadelphia skyline. In recent years, Camden has gotten a lot of bad publicity for crime: statistics show that the city has one of the highest crime rates in the entire country. Violent crime is a particular problem in Camden, with many people suffering serious physical injuries due to assaults and robberies on city streets.